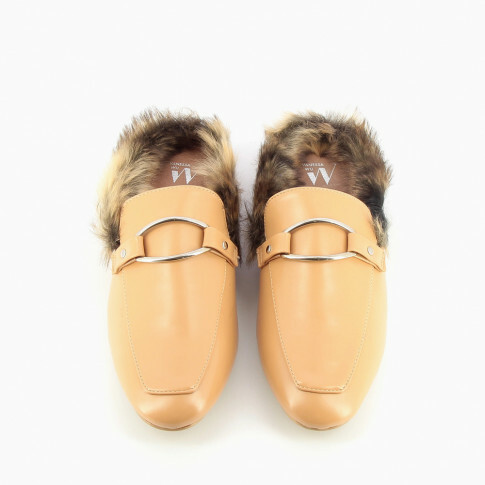 Apricot loafer mules, edges with black and beige faux fur. Decorative silver buckle across front, almond-shaped toe. 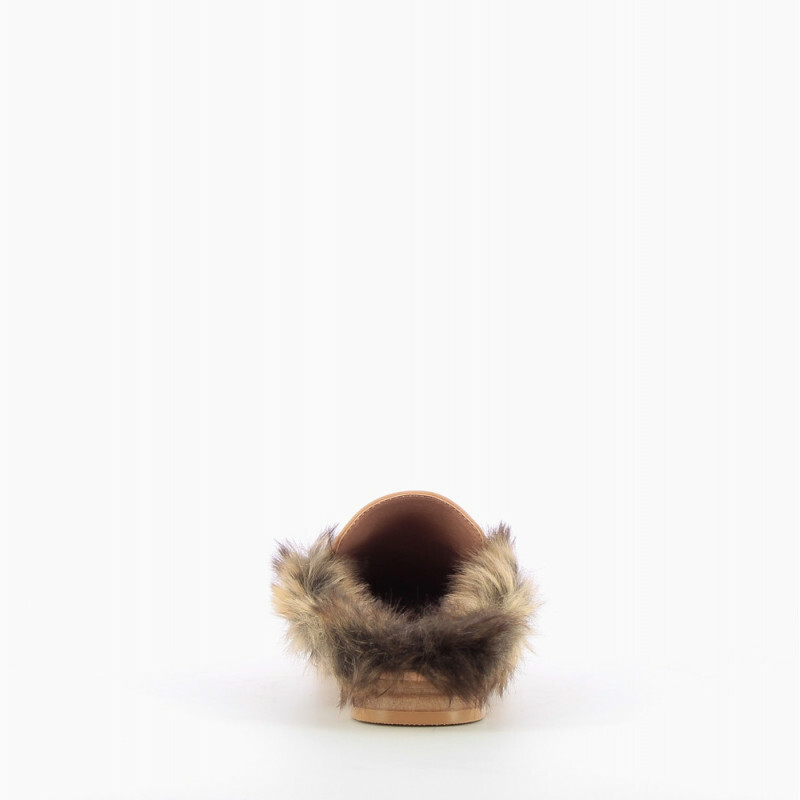 Vanessa Wu's detail: Faux fur brings some character to these mules. 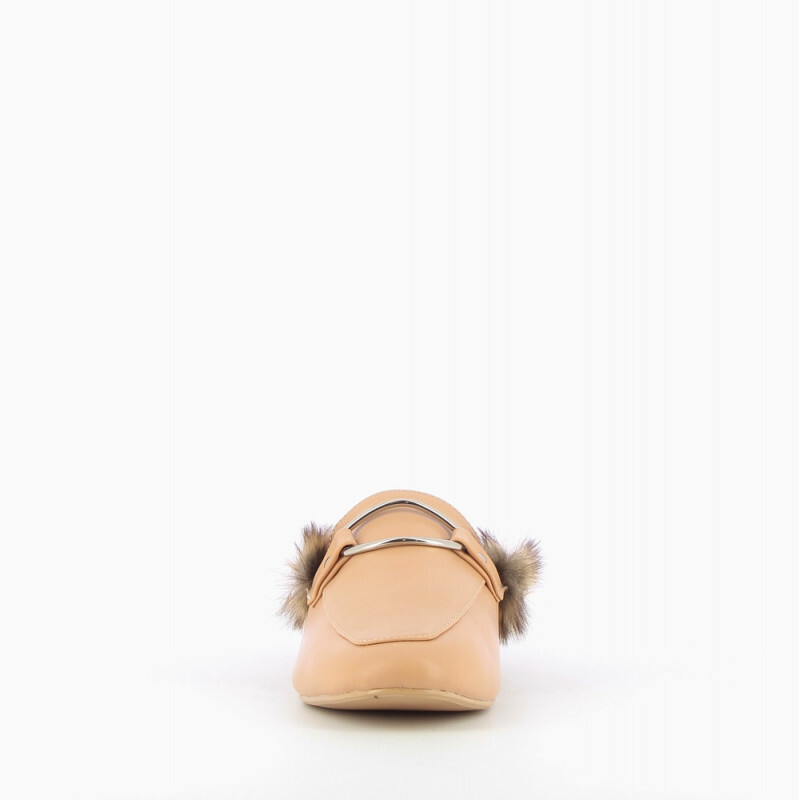 Wear them with rolled-up boyfriend jeans, or straight narrow 7/8 length jeans; revealing your ankles is essential!